STERLING SILVER ROLO LINK NECKLACE. .925 Sterling Silver. 5.48 grams. Length :18 inches. Clasp: Spring clasp. 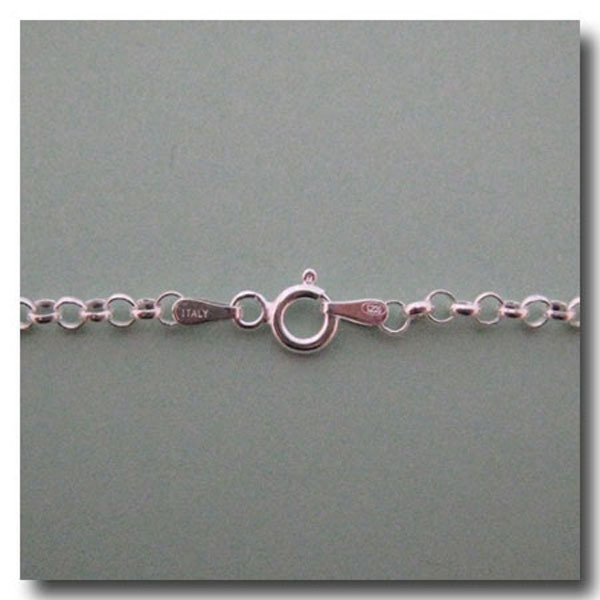 Style: Rolo (Belcher) links. Diameter:3mm. A classic necklace style. MADE IN ITALY of finest quality polished silver.